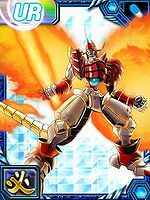 A Shine Greymon that has temporarily reached the limits of its abilities through Burst Evolution, it is a unique form which wears an aura of solar-class high-energy flames. 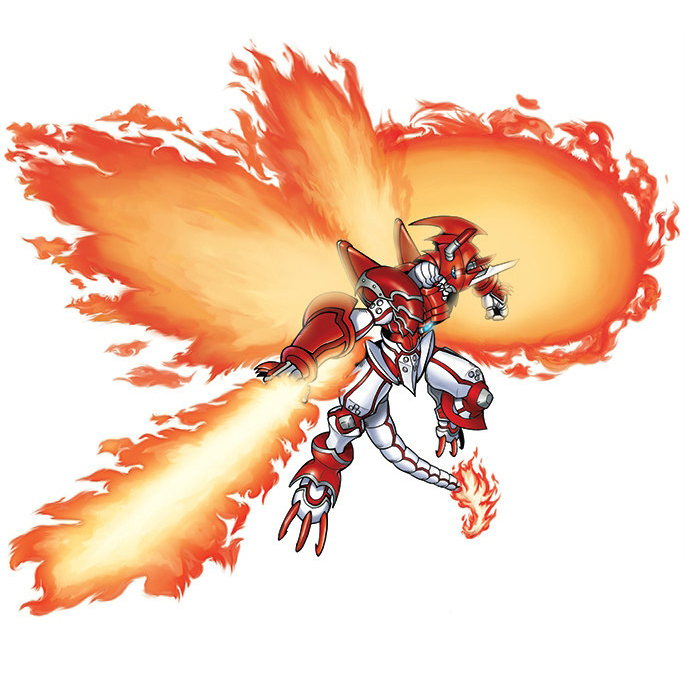 Its Special Moves are fusing its flaming shield and sword into a greatsword with explosively increased power (Corona Blaze Sword), and putting its body and soul into inducing a massive eruption (Final Shining Burst). Also, it can continuously fire incandescent flame shots (Torrid Weiß). 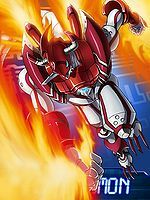 A Shine Greymon that has temporarily reached the limits of its abilities through Burst Evolution, it is a unique form which wears an aura of solar-class high-energy flames. 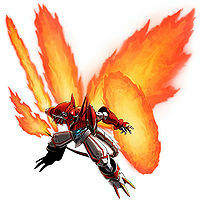 Its Special Moves are putting its body and soul into inducing a massive eruption (Final Shining Burst). | Shine. Grey may come from grey, meaning old or ancient. Burst Mode. 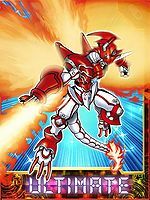 Anime/Manga Digimon Savers The Movie: Ultimate Power! Activate Burst Mode!! 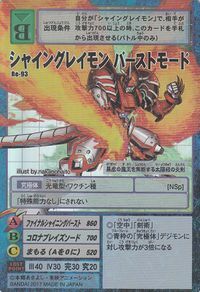 ファイナルシャイニングバースト Fainaru Shainingu Bāsuto Causes a great explosion through devoting the whole of its body. 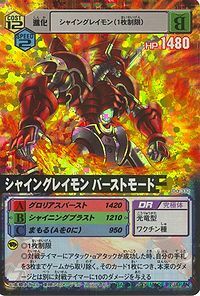 コロナブレイズソード Korona Bureizu Sōdo Fuses its sword and shield of fire into a large sword which is tremendously increased in power. [N 1] Torrid White トリッドヴァイス Toriddo Vaisu Continuously fires incandescent flaming shots. 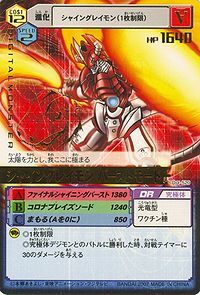 グローリアスバースト Gurōriasu Bāsuto High-intensity laser burst from ambient solar rays fired from chest-mounted lens. シャイニングブラスト Shainingu Burasuto Envelops self in an glowing aura, then tackles. 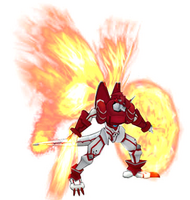 Shine Greymon: Burst Mode from Ultimate Power! Activate Burst Mode!! 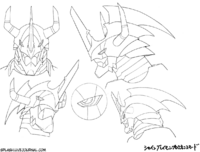 Shine Greymon Burst Mode is the partner of Daimon Masaru. 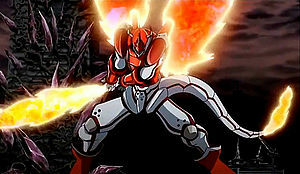 Shine Greymon burst evolves to this form in Digimon Savers - Episode 38, helping to defeat Belphemon Rage Mode. 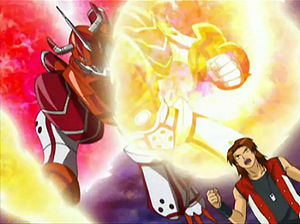 Shine Greymon is the partner of Daimon Masaru. Makes an appearance in "Grand Gathering of the Legendary Heroes! 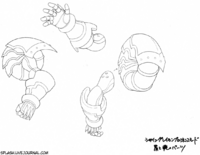 The Play-Offs of the Digimon All Stars!" 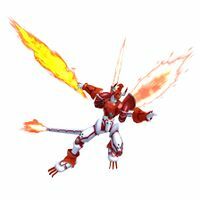 after Masaru sees Dukemon changing into Dukemon: Crimson Mode with ZERO ARMS: Grani and evolves Shine Greymon to Burst Mode as a response. 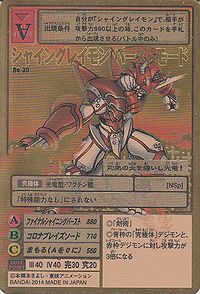 Shine Greymon: Burst Mode then helps to fight against Venom Vamdemon. Can be jogressed from Shine Greymon and Dukemon or Imperialdramon Fighter Mode if above level 68, friendship 100%, and already befriended Shine Greymon Ruin Mode. 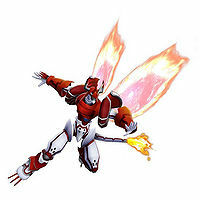 He also appeared as Daimon Masaru from Digimon Savers' Digimon, challenging you alongside with Thoma H. Norstein's Mirage Gaogamon Burst Mode during the final Quest Mission "The Arrival of the Legendary Tamers!". Can be evolved from Shine Greymon at level 65. 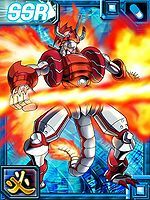 Shine Greymon Burst Mode is only obtainable as a collectible card. Its card can be unlocked when completing the Agumon 2006 Evolution (アグモン進化２００６ Agumon Shinka 2006) set and is part of the Four Burst (フォーバースト Fō Bāsuto) set. Can be obtained as a Burst Evolution of Jumbo Gamemon or Shine Greymon. This light dragon is cloaked in scorching flames! It uses its flaming sword, whose power rivals that of the sun, to slice through and incinerate the tyrannical demon lord. With the sun as my strength, I stand here unmatched! ↑ Digimon Savers: "Burst Mode - The Power that Surpasses Ultimate"
↑ Digimon Savers The Movie: Ultimate Power! Activate Burst Mode!! ↑ Weiss/Weiß means white in German. This page was last modified on 20 October 2018, at 00:10.